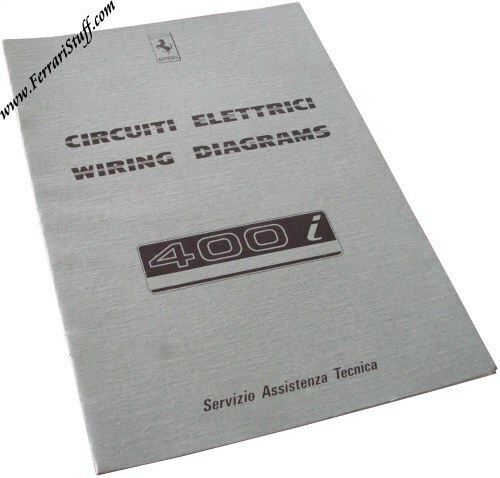 Ferrari factory original 1983 Ferrari 400i Wiring Diagrams manual. Factory Original, issued by the Servizio Assistenza Tecnica department. This Ferrari Workshop Manual contains 23 pages, including many fold-out wiring diagrams, dealing with the electrical system and the wiring. Ferrari Print Number 291/83, issued in 1983, printed in Italy by Graphotechnica in Maranello. New and unused but with some light aging to the cover. 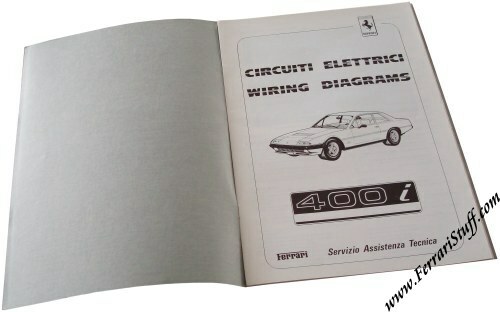 If you own a Ferrari 400 i, this book shouldn't fail in your library.